Hello lovelies, today I have for you something a little different to my normal shade/effect. It is a lilac foil which is a metallic polish with bluey undertones as well as obviously lilac and hints of silver shimmer running through. The more I look at my nails the more I don't know if I like it, it looks so pretty in the bottle I just don't think its me. 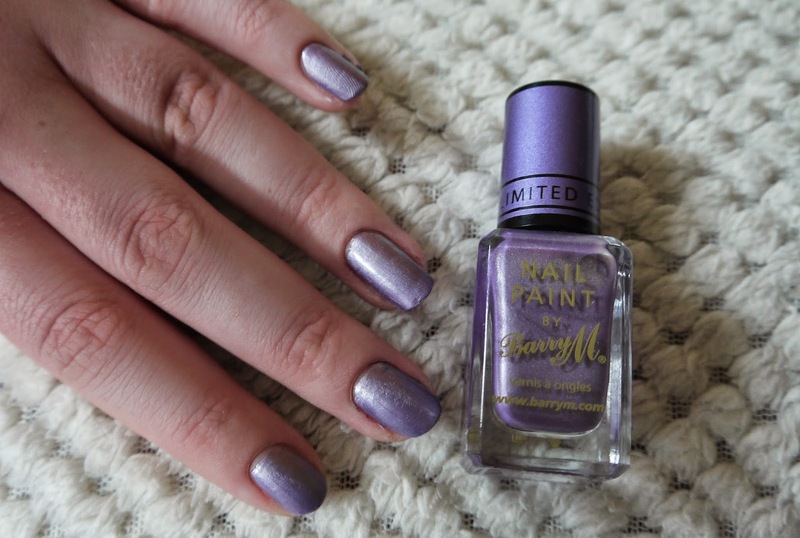 I got this free when spending £6 on Barry M which is very easy as I love Barry M nail polishes, the longevity is amazing and a shade for everyone. It looks very futuristic to me as metallic sort of shades do personally, I don't know why they just make me think of robots aha. Out of my collection I don't think this will be worn again so you may see this on my depop very soon! What do you think to metallic nail polishes?